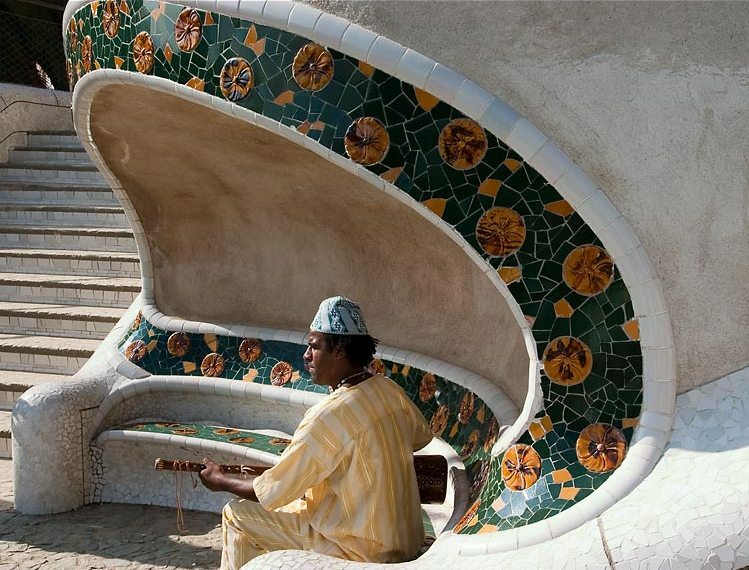 Where can you find the most remarkable benches? 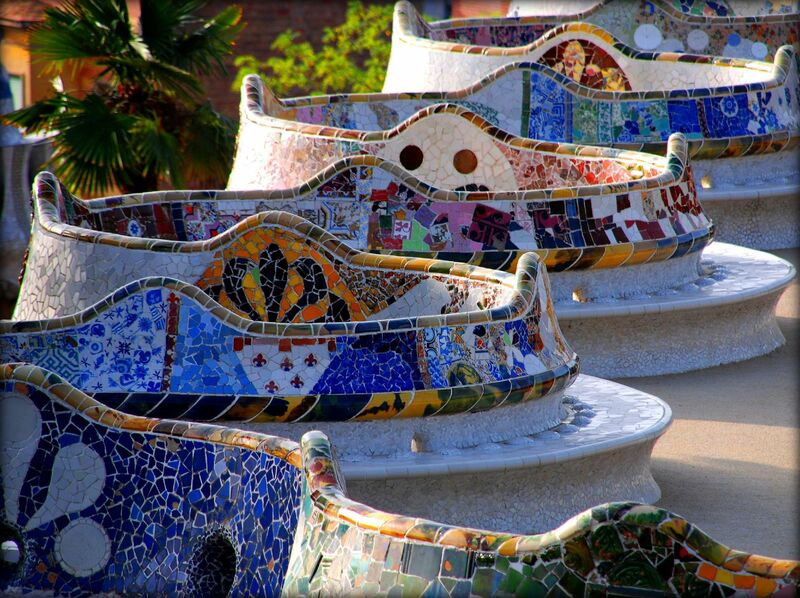 In my opinion definitely in park Güell in Barcelona! 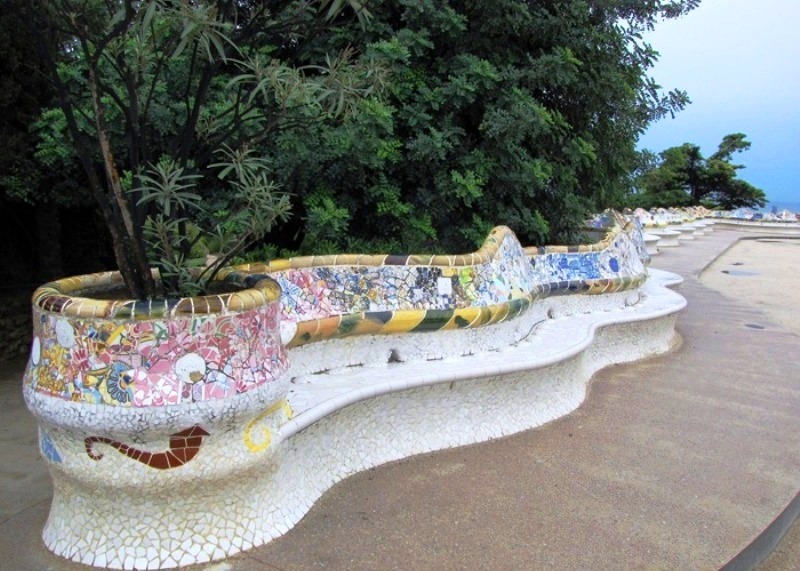 The extraordinary craftsmanship, unusual use of materials and plants throughout the park catch and delight the eye, making Güell one of the most remarkable parks of the world. 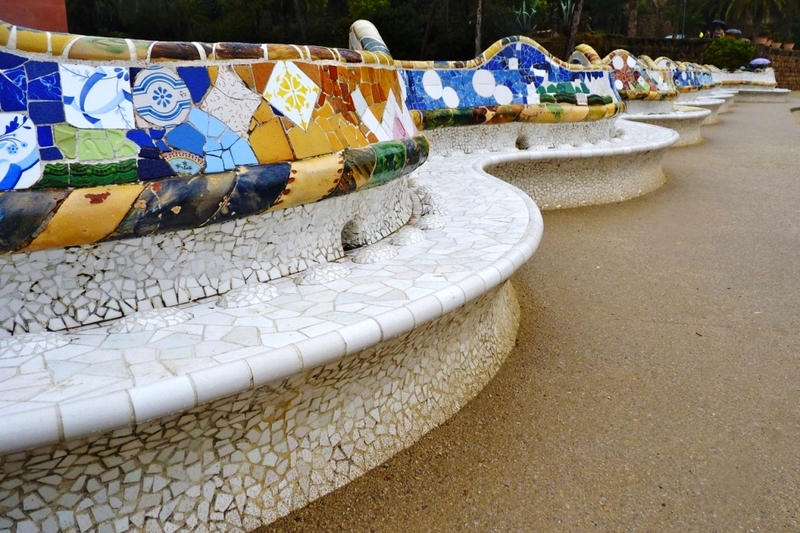 Designed by famous Spanish Catalan architect Antoni Gaudi and built between 1900-1914, it is one of his 7 works listed as a UNESCO World Heritage. 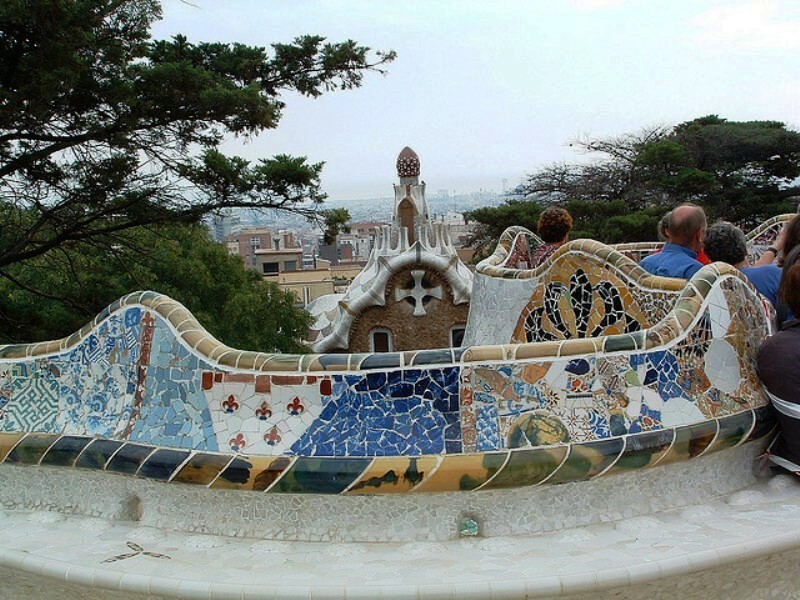 It is set into the hills overlooking Barcelona. 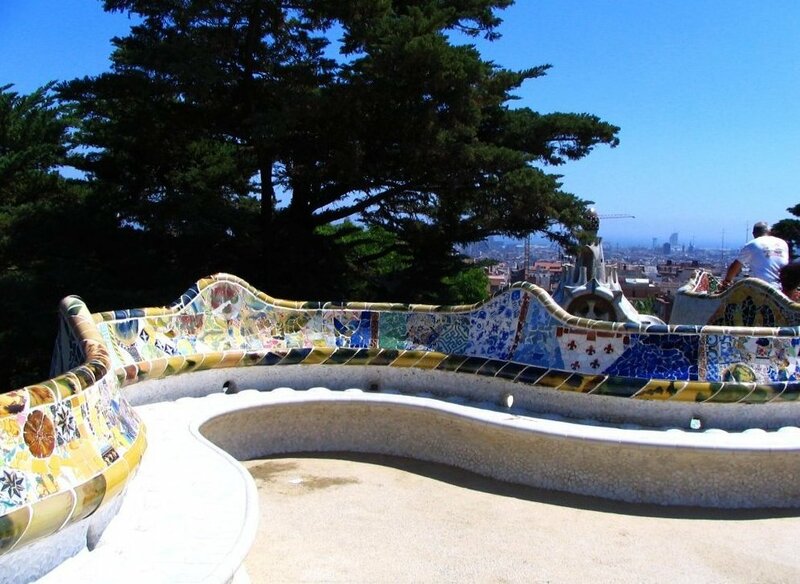 Serpentine terraces, seats, galleries and acrades run with the mountainside. 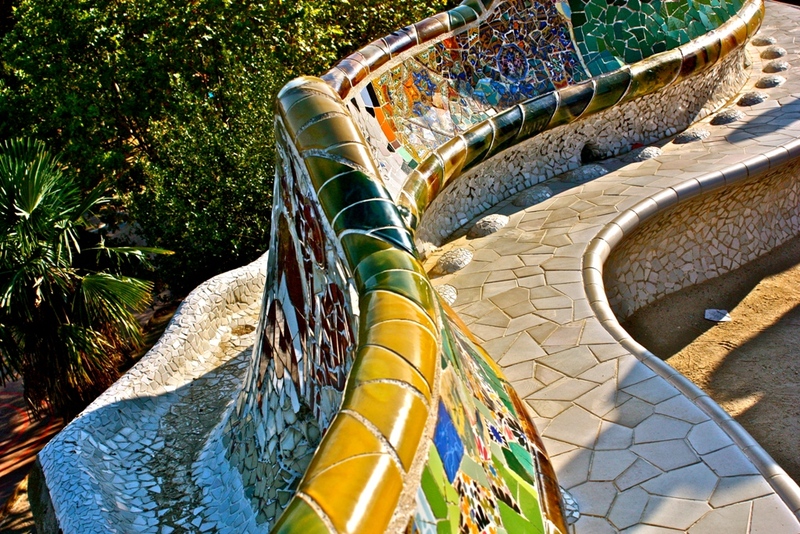 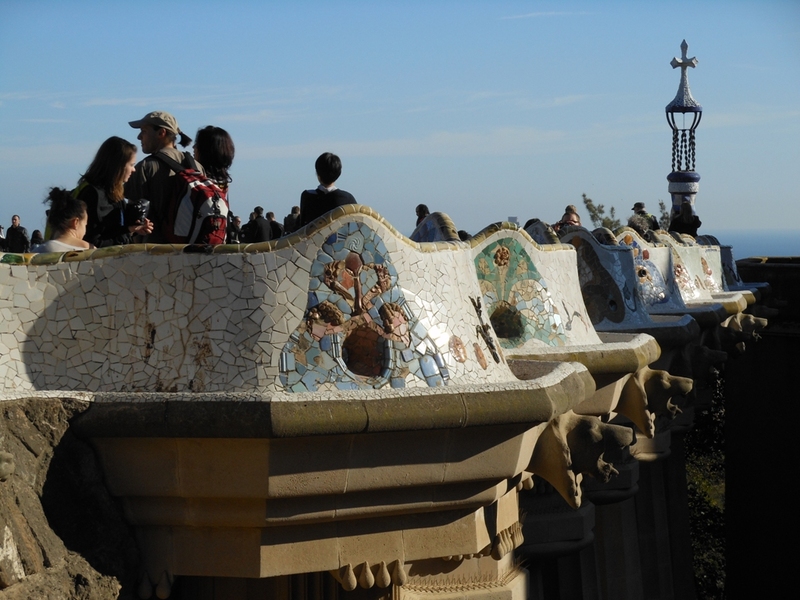 They are decorated with polychrome mosaics of broken stone, ceramic pots and old tiles.